Back at it again with another award post! I was nominated for this award three times! Thank you guys so much! You guys really are the best. My three nominators are Fernanda at The Wanderlust Reader, Megs at Between the Pages, and Rose at Tea With Rose’s Tomes. This award was created by Okoto Enigma! I love wine! I only drink sweet wines though! Dry wine is just gross. I love cats but will never be able to own one again. Unfortunately my boyfriend is allergic. I really love owls! My apartment has random owl knick knacks all over. Why? Because I clearly am a book nerd haha. How? I randomly came up with the phrase one day and placed it in my Goodreads bio and it just stuck. 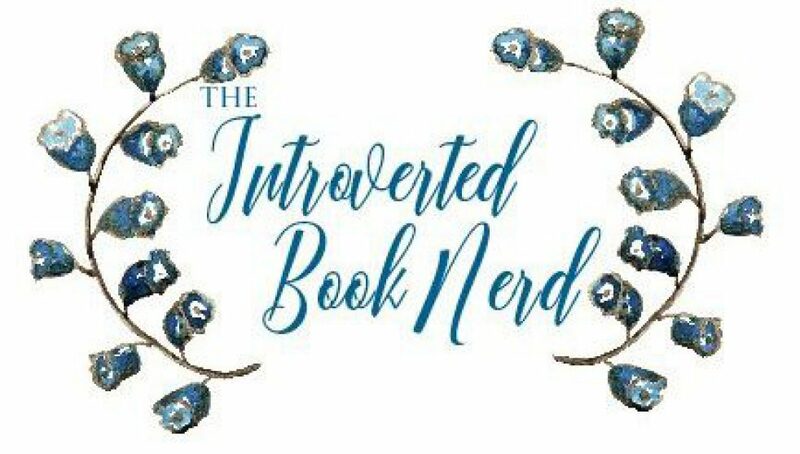 So when I decided to make a book blog, I thought the phrase fit well with my personality and it would also let other bloggers know that my blog was going to be focused on books. Oh goodness, I don’t know. I’m not a very creative person and my life is also quite boring. Hmm..yeah, I’ve got nothing guys. Honestly, it depends on the time of year. In winter, I really like fantasy books. In fall, I definitely go with horror and thrillers. Kayaking when it is warm enough! In the real world, all over Europe! In a fictional world, Hogwarts! I started my blog June 27, 2017. Not quite 3 months yet. I started because I really needed to do something with my life other than just working and going home to wake up and go back to work. I needed to do something creative that I would enjoy doing as an outlet for pent-up energy. If you could have one song as your theme tune that played around you at all times, what would it be and why? Bad Blood by Taylor Swift. I’ve had some people in my past backstab me in ways I could never fathom doing to others, so maybe if I had this theme song people would realize I’m not one to mess with. Sorry, that got a little dark. Where is your dream place to live? Why? Ultimately, I would love to live in the Caribbean. The islands that I have been to have just been so beautiful. The sights take my breath away. I also really love the tropical weather, minus the hurricanes. I’ll probably never leave the U.S., but one can dream, right? What is one book you would recommend that everyone should read? I have two trilogies that come to mind. The Infernal Devices by Cassandra Clare and His Dark Materials by Philip Pullman. I cannot choose between the two. Jem Carstairs always and forever. He’s my baby. I would like to say I would go sky diving. I’m going to steal a few questions from above. I hope that’s okay. I just thought some of the questions I asked were really good! Who is your number one book boyfriend or girlfriend? What is a genre you haven’t read or you read the least? Okay y’all, I’m not nominating a bunch of people because most people I know have either done this award post already or have been tagged already. I hope that’s okay. On the other hand, if you are reading this post, feel free to go ahead and do it using my questions and link back to me so I can read your answers. I hate dry wine too! Ugh. Aw so sad that your boyfriend is allergic to cats. I bought the 20th anniversary editions of His Dark Materials for my mum, so shiny! It makes me cry. I love cats! And I have a 20th anniversary edition of The Golden Compass. Oh my god, Jem is totally the perfect boyfriend matterial! Also, wine is life hahaha. If we lived in the same country I’d bring you with me! That would be amazing! So sad we all live so far from each other! I’ve had a lot of friends (99%) stab me in the back for absolutely NO reason. I cannot believe people act like that. It makes me want to just stay in my little bubble and stop trying to make friends honestly. Thank you so much for nominating me ❤ can't wait to answer your questions! I will never understand people. I’m such a nice person and an extremely loyal friend so I don’t know why people have hurt me the way they have. At least I know better not to befriend them again. Same girl! I just don’t get people sometimes. Oh well!! I love that we get tagged so many times for the same tag 😂😂 i think i just like knowing it’s not only me haha great answers! Yesssss! We are thought of and i looooove that! I love Jem! I always wanted to give him a huge hug! Great answers. I love cats and sweet wine too, have to agree dry wine is the worst! I love the wines up in Niagara. They do an ice wine festival up there every January and we have gone a few times – its a great trip! You’re welcome! Hopefully you like niagara wine! Wooo His Dark Materials! So excited for The Book of Dust! Oooh – I love Kayaking – though it’s been so long since we last got to go! I’m too intimidated to pick up GoT! Haha. I try to stick with YA fantasy because high fantasy is just so intimidating!